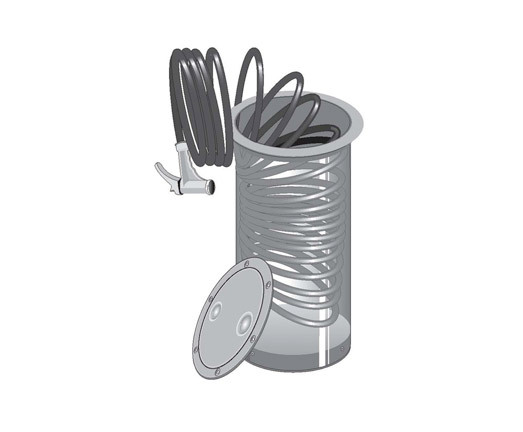 Our popular line of Utilitube storage solutions are now available with an intergrated coil hose and spray nozzle. These washdown systems feature our sturdy 1/4 turn Twist-N-Lock deck plates and provides easy access to 15' or 25' coil hoses featuring spray nozzles. Sturdy construction featuring U.V. resistant materials. Available with textured surface for easy grip or smooth finish for bulkhead mounting. Now available in 4" and 6" diameters!